Enjoy the perfect blend of Art and Chocolate with regional artists Stacey and John Maldonado's 2010 Seasonal Series. 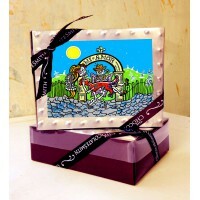 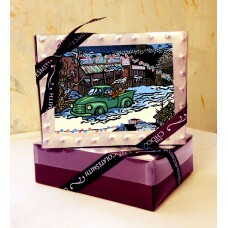 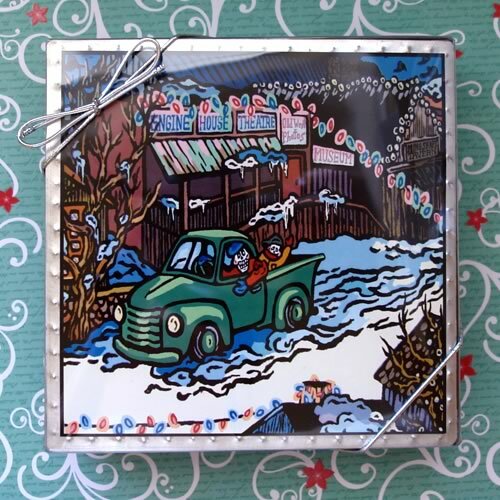 Each box contains 1 collectible Tin Tile & a choice of our Signature Chocolate Barks. 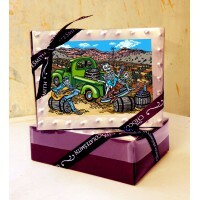 Available in a 6oz, 4x6 box.